Book your taxi at Taxi Wielkens if you require care transport: easy and fast. 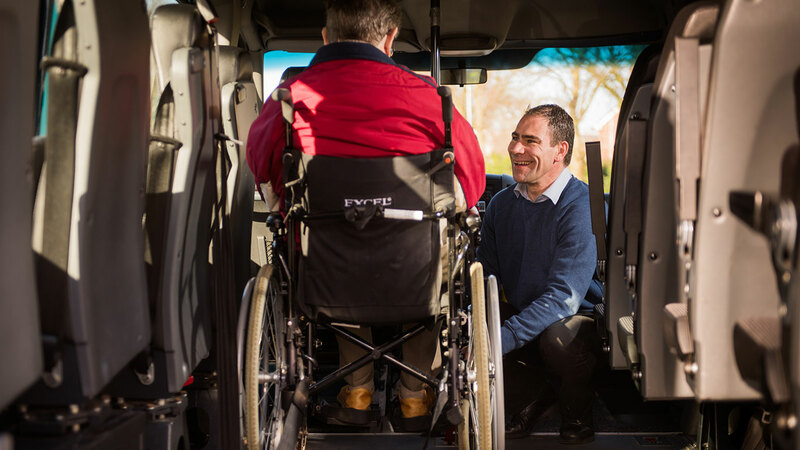 We have wheelchair buses available. Ask about our discounts for people who qualify for an allowance on the basis of WMO (Social Support). Enter your details here and click Book. You will receive a confirmation of your booking so that you know we will pick you up at the agreed time. For more information, read the tutorial on How To Book a Taxi or Frequently Asked Questions. Unfortunately, this service is not yet available for your mobile telephone, However, it can be accessed on your desktop, laptop and tablet. Please let us know you qualify for a WMO allowance when booking. Do you require a taxi immediately? Then call 071 – 589 05 03 or send a WhatsApp to: +31623407370. Please let us know you qualify for a WMO allowance when booking.